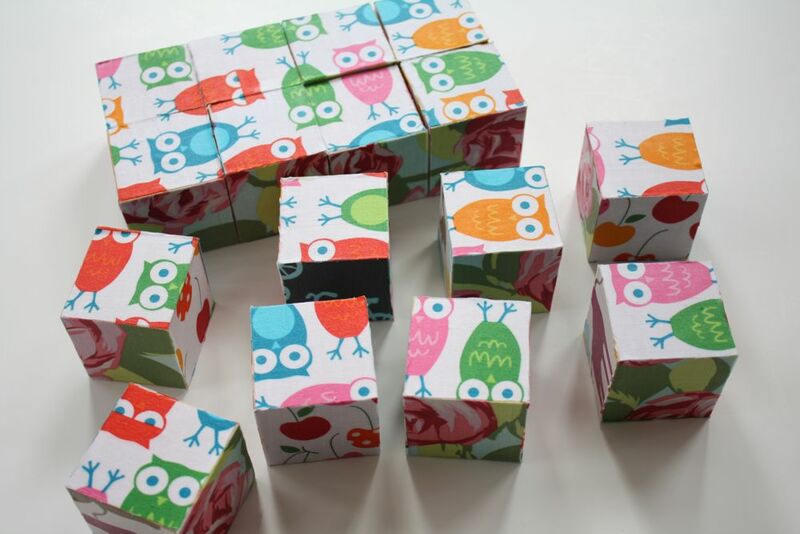 Sorry it only took me like 2 months, but here’s the tutorial for the puzzle blocks I made for One Month to Win It! It’s pretty easy to figure out. Cut a 8″x8″ square and then cut it into 2″ pieces, keeping them lined up in order. Then spread a thin layer of Mod Podge on one side of each block, and stick the fabric squares on the blocks, making sure to transfer it in order, row by row, so that it they don’t get mixed up. 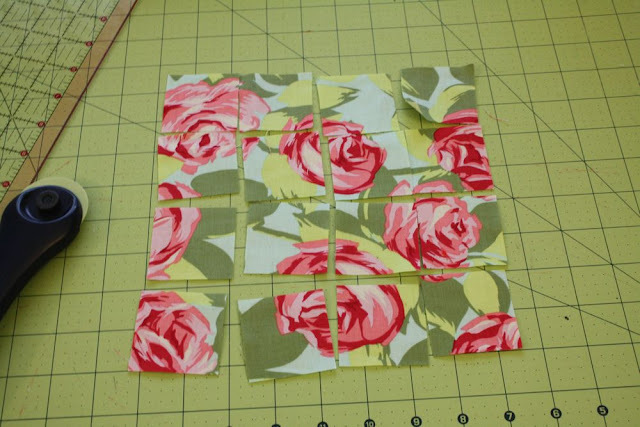 Then, let dry for a minute or two (doesn’t need long), and then flip all your blocks over, the same way (to the right or left, or to the top or bottom) and start cutting and gluing the next fabric. So on and so forth until you’re done! **Make sure to remove any stray threads before the Mod Podge dries. Otherwise they’re not coming off! **I used my rotary cutter to trim off any sides of the fabric that hung over, the blocks will not all be perfectly square, I found. 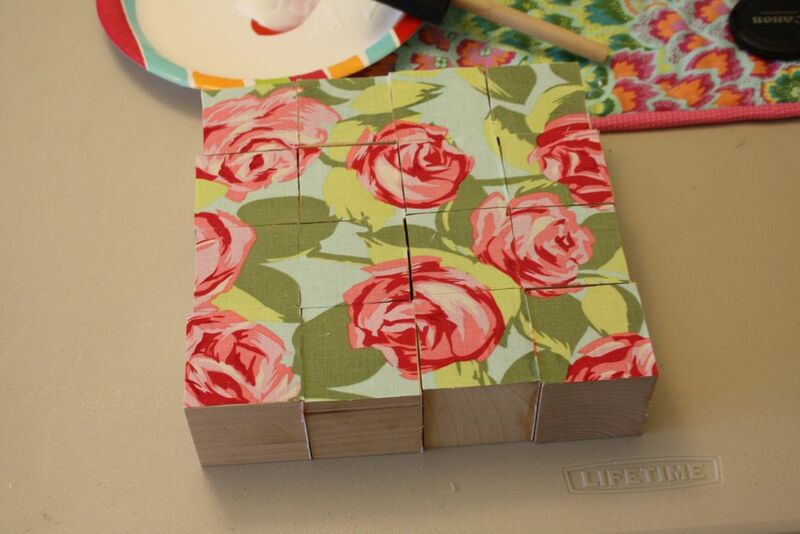 **I also put a coat of Mod Podge over the all the blocks to seal them. great. i have to make one myself. i love it! what a great idea!!!! I love these “so obvious, why didn’t I think of it?” projects. Thanks for having the idea and posting it; it is on my list of easy-handmade-presents-for-little-ones thanks to you! Those are pretty. darn. great. What a great idea! I am off to hunt down blocks right now. I absolutely love this project – so smart and fun! Thanks for sharing! super cute! If I weren’t positive that my little one would destroy things with her banging, I’d be all over this. But I love the idea of modge podge and fabric on harder surfaces! I can’t wait to make a set for my girls! Thanks for sharing this great project. Ok, that is a really great & super cute idea!!! That is awesome!! What is mod podge? Does it stop fraying? Hi! I just wanted to let you know that I’ve given you the “One Lovely Blog” award! That is such a cute idea! I love all the fabrics you chose, too! These are amazing! I want to make some. I love your fabric choices too! Love that this is 6 puzzles in one. So simple to make, too. Cute! Bry and I did this with children’s book pages a few years back for Christmas presents for my niece and nephew. Ack! What a great idea! And I was just given a whole bag of wooden blocks today!!! Superb! This is so awesome!!! One of my favorite toys when I was a kid was a set of puzzle blocks. 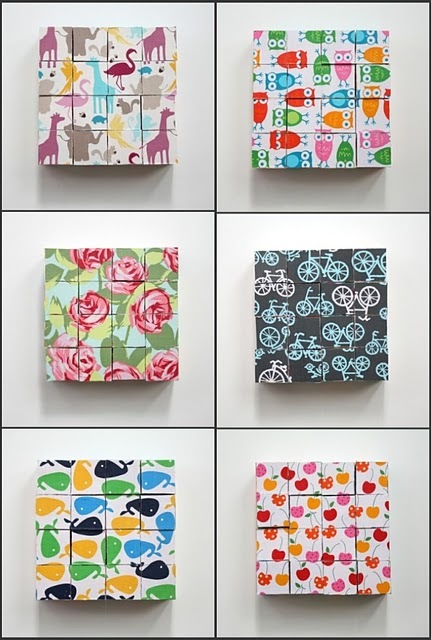 How cool that you can make them with favorite fabric prints! Wow! How smart is this! This looks like such a fun project! 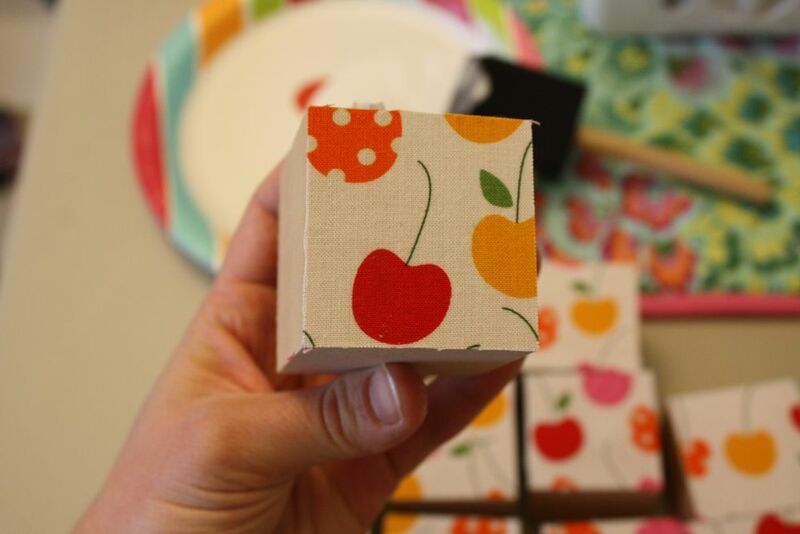 I bought all the 2 inch blocks that my Hobby Lobby had in stock so now I just need four more–can’t wait to get started! 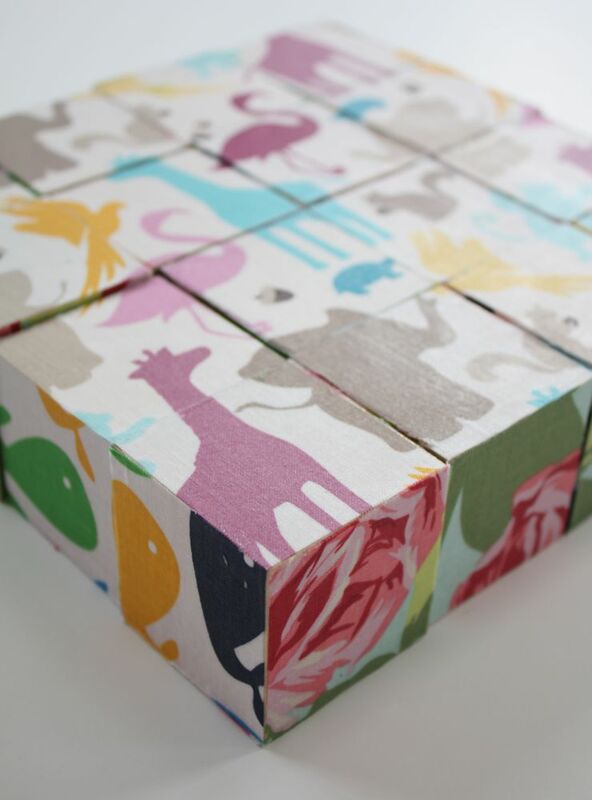 I am in LOVE with these blocks! Absolutely LOVE this idea! Thanks for the tutorial! So totally super cute…love this! Thank you thank you thank you for posting this! My cousin is having a baby girl and I want to make her something special! And although all your clothes are absolutely adorable (girls to 😉 ) I haven’t quite mastered my sewing machine yet! 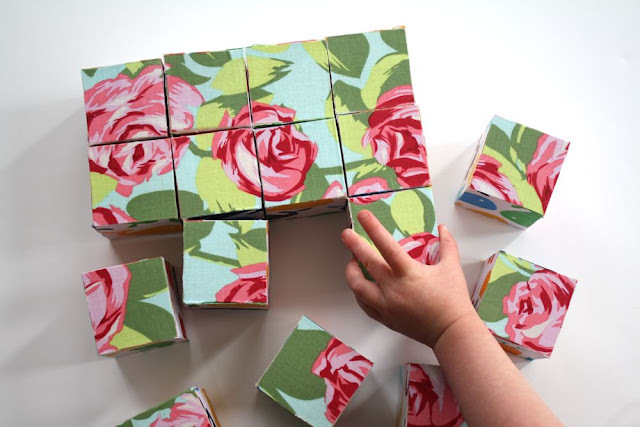 This will be the perfect lil’ gift and so fun to make! And thank you for blogging….I love reading about your adventures! you had me at that first photo – one of my favourite fabrics! great project! I’d love it if you’d find a moment to stop by Craft Schooling Sunday and share this one. Hope to see you there! Fantastic idea, thanks for sharing!! My name is Christine and I’m the managing editor of http://www.landlines.ca – the blog of the Nature Conservancy of Canada. 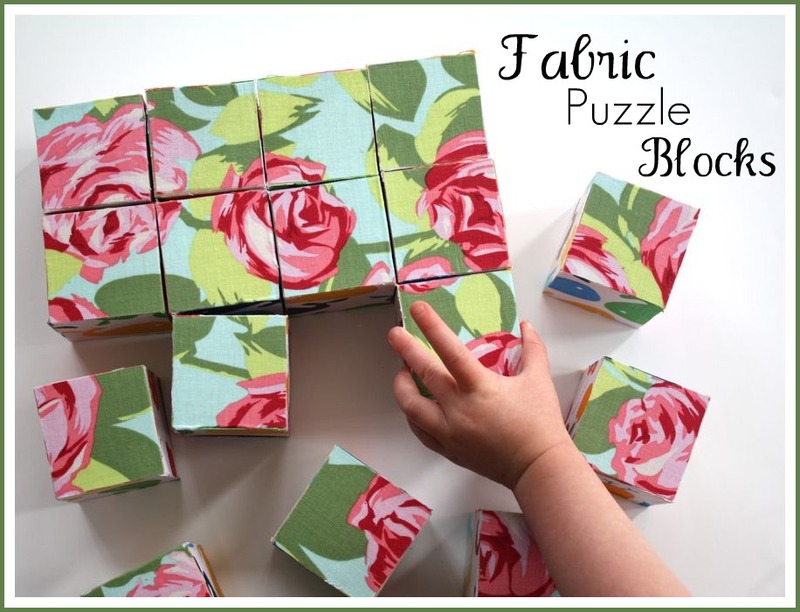 We’re publishing a blog post about upcycling gifts for the holidays, and we are including a link to your fabric blocks tutorial. I was wondering whether you’d also let us use a photo of the finished product to go along with your tutorial? Full credit would go to you, of course. I realize this is extremely short notice, but we are hoping to get this up tomorrow (our holiday calendar is starting to get a little crammed solid, which is not a bad problem to have!). Is there any way you could let me know either way as soon as possible?